For Instant Mythical Cred When Travelling! Take this Huggable Unicorn Travel Pillow wherever you travel for instant mythical cred. Ideal for both kids and adults. 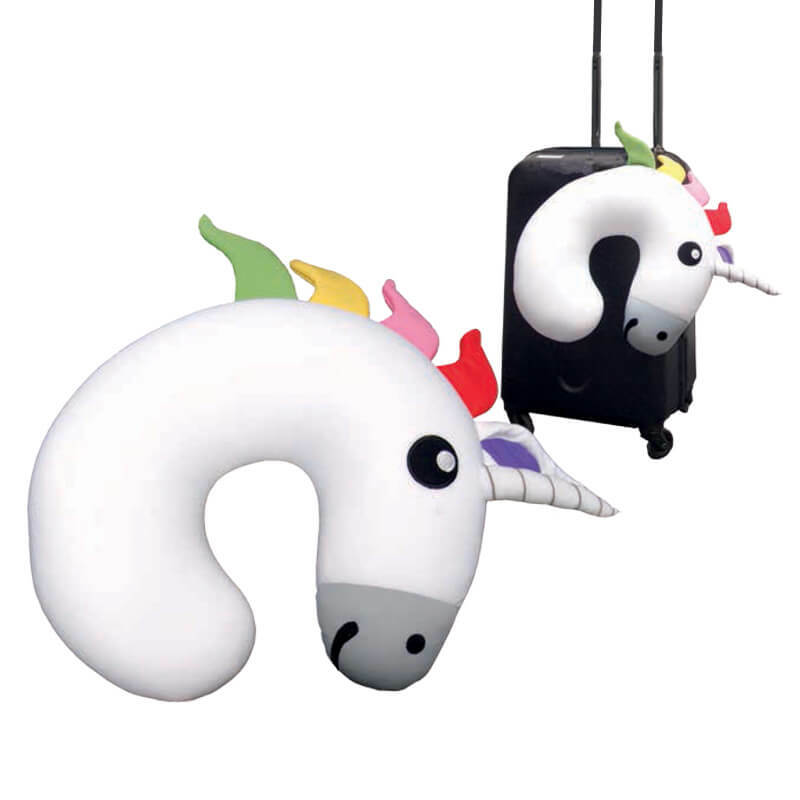 As your head hits the soft white cover adorning this travel accessory made from real unicorn hair (not really) you're sure to receive a magical sleep. Know someone who is a fan of Unicorns? This is ideal gift for them!